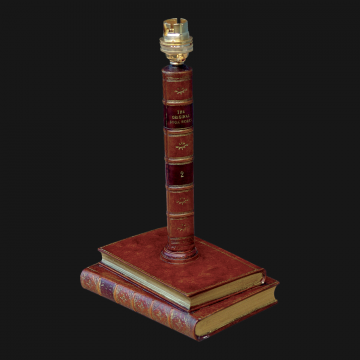 We have a select range of lighting that changes from year to year. A talking point that highlights any interior. 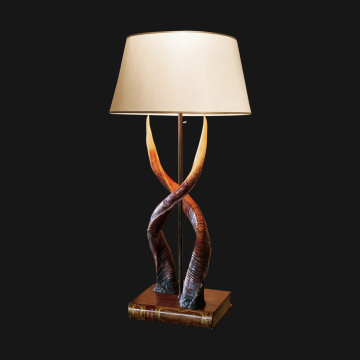 Depth: 570mm / 22 7/16"
The natural symmetry of a pair of antler horns, entwined to create this stunning table lamp. Please note the shade is not included, we would recommend our 20" Shade (L0520). .. 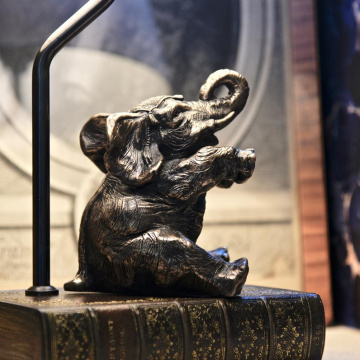 Height: 285mm / 11 1/4"
Cold cast bronzed resin creates this beautiful lamp of an Indian elephant, with his trunk raised for good luck. Shown here in our new Sage Green colourway but can be ordered in all of our colours including Matt Black and Chalk White. 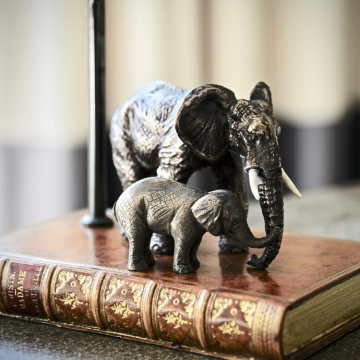 Simply select your preferred colour from the options provided.Shade sold separately and is excluded from dimensions,..
An attractive and heart-warming, cold-cast bronze statue of an African elephant and her calf, mounted on one of our Faux Books to make an elegant and unique desk lamp. Shade sold separately and is excluded from dimensions, we would recommend is our 8" shade code L0511.. 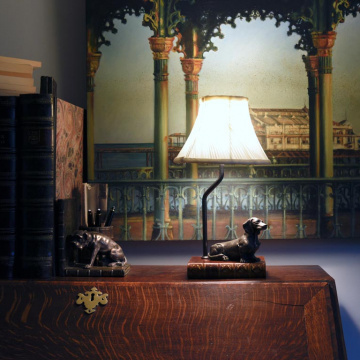 This lamp comes with an 8" shade pictured and has a lovely dachshund on a book base. .. 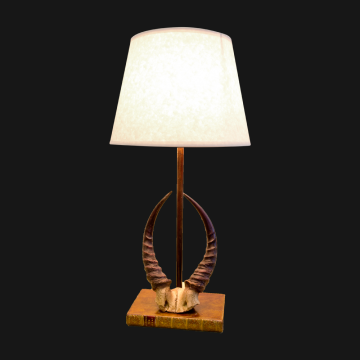 Height: 390mm / 15 3/8"
The light cast upon these replica reedbuck horns emphasises the texture and intrinsic beauty of them. 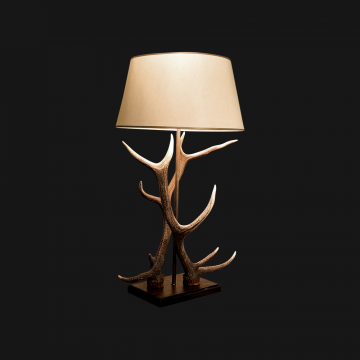 A pair of these lamps would make ideal bedside or side table lamps. Please note the shade is not included, we would recommend our 12" shade (L0512). .. 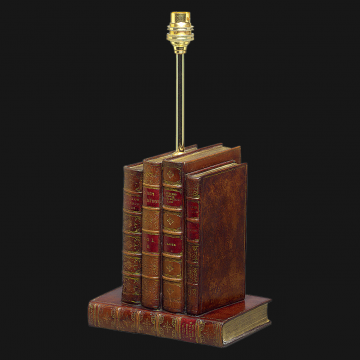 Depth: 103mm / 4 1/16"
A classic book themed lamp - a Book Works 'original' .Please note the shade is not included, we would recommend our 14" shade (L0518). 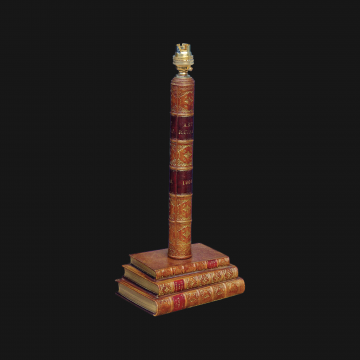 ..
A taller lamp with four book spines forming the main pillar. Please note the shade is not included, we would recommend our 14" shade (L0518). .. 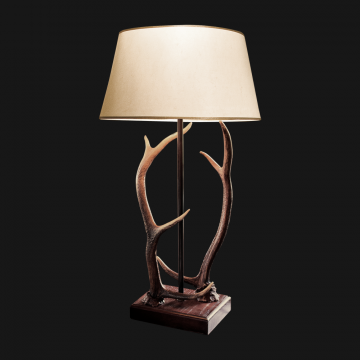 Depth: 560mm / 22 1/16"
This small double antler lamp is a recent addition to our range of real, naturally shed antler lamps which have attracted a huge amount of attention this season. 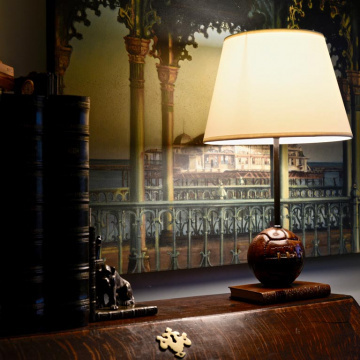 Ideal for display in a reception or living space - or may be a pair would create the mood you are looking for as bedside lights? 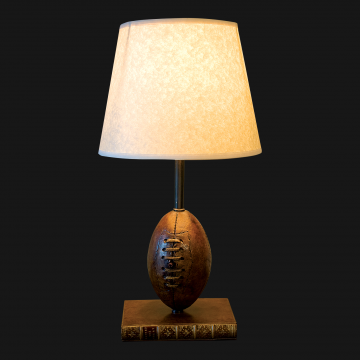 Your lamp will be unique as every one varies..
Our Master craftsmen have cleverly made a replica of an Antique leather mini footballand made it into a lamp to grace any sporting persons bedside table or desk. A very popular item with our clients.Also available in a Rugby version. Includes shade. (12") ..